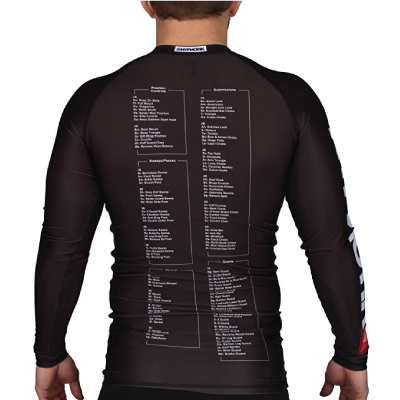 If you’re going to BJJ on a regular basis, the chances are you’re going to need a rash guard. Whether it’s for no gi BJJ or you’re looking to add another lay between your skin and the mats, rash guards are a brilliant piece of clothing for any BJJ practitioner. These days there are a tonne of options to choose from, it’s almost too hard to decide. How do we know which ones are the best? 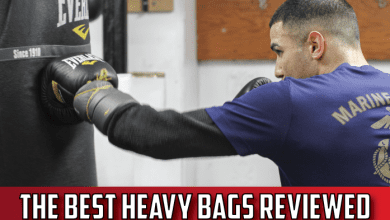 Fortunately, we’ve compiled this list of the best BJJ rash guards currently available, hopefully by the end, you’ll have your new rash guard set in your sites. These days, rash guards tend to be made using a combination of polyester and lycra based material. 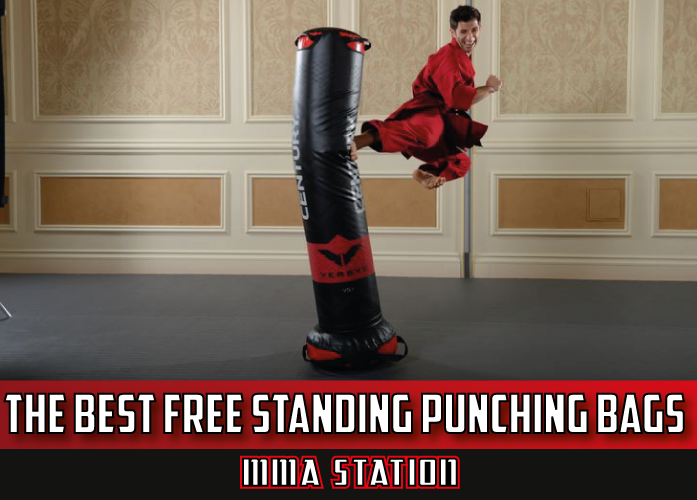 This material allows the guard to be tight fitting, whilst not hindering your ability to move. If you can, make sure that the rash guard is printed using sublimation methods. This is where the design is printed into the material using heat, which prevents the dye from fading, peeling or rubbing off. This is pretty vital as the last thing you want is for your gi to get covered in dye from the rash guard. The unfortunate reality is the best BJJ rash guards are going to be the more expensive. You can technically find ‘compression shirts’ in most sportswear shops, however BJJ rash guards need to be built to a more durable standard. This often means costing more, however the quality will be far better and the rash guard will be able to with stand the many hours spend rolling on the matt. The top BJJ rash guards can cost anywhere between $40-$120 depending on size, brand and quality. As you will see from our list, there are a number of big brands that dominate the rash guard market. 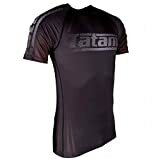 These big brands such as Tatami and Venum are known for producing some of the best rash guards for BJJ and have established a loyal customer base over years of realising top quality products. I tend to always go for trusted brands that I recognise as I feel that there is much less risk involved as I know the standard that these brands are able to deliver. Going for cheaper, lesser known brands is a bit more of a risk, however if you’ve done your research, I’m sure there’s some bargains out there. This is really down to personal preference. Most people tend to have a mixture of both long and short sleeve rash guards as this gives them the freedom to decide which one to wear. Under my gi, I tend to wear my short sleeves rash guards in the summer and my long sleeve rash guards in the winter. If I’m doing no gi BJJ, I’ll usually wear a short sleave rash guard as this provides less material to grip. First up on our list of the best rash guards for BJJ is the FUJI IBJFF freestyle rash guard, which is by far one of the most highly sort over rash guards out there. As with most of the top BJJ rash guards, the Fuji rash guard features reinforced stitching along all of its seems. This allows the rash guard to with stand being pulled without ripping, which of course is a pretty important factor considering you’re going to be rolling and competing in this bad boy. What’s more, the Fuji is manufactured using anti-microbial fabric that helps to prevent common types of infections commonly acquired in martial arts. As well as being a well designed, good looking rash guard, the Fuji is also approved by the IBJJF for no-gi BJJ competitions. This makes the Fuji rash guard perfect for both training and competing. Want to know the best bit about this rash guard? It has to be the price! 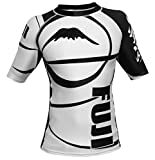 For one of the most durable rash guards available, the Fuji possesses and incredible price tag making it one of the best value for money items on our list. The Hayabusa Metaru Charged would have taken the number one stop on our list, if only it was a tiny bit cheaper. 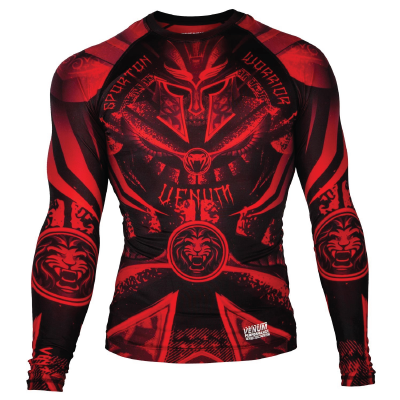 Nonetheless, this is easily one of the best BJJ rash guards, despite its’ slightly higher price. Featuring Ti-22 Titanium coated fibres alongside Hayabusas’ patented AGTM compression technology, this bad boy is built to last. As you would expect from such a high class rash guard, the Hayabusa is constructed using anti-microbial material that helps to prevent common infections such as ring worm and staph. Inner silicone banding is placed inside the rash guard, which helps to secure it in place without riding up your torso. 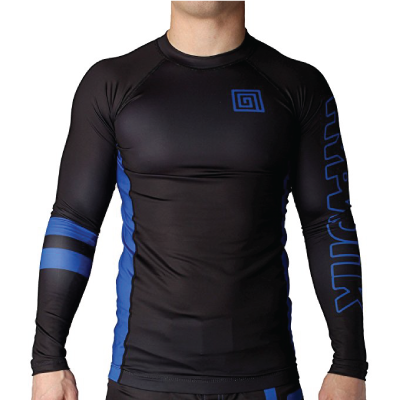 The rash guard is also available in 5 different colors – white, blue, purple, brown and black, which is designed to reflect your belt color when you’re participating in no-gi BJJ. You’ll be pleased to hear that the Hayabusa Metaru is completey IBJJF compliant, which means you can both train and compete with your new favourite rash guard. 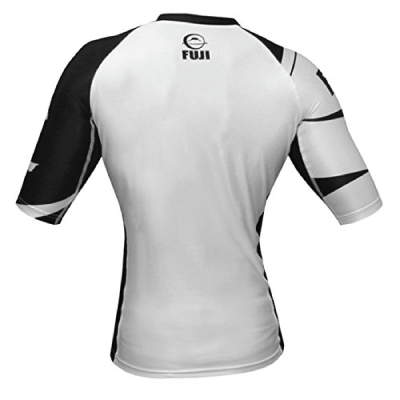 Our mens rash guard shirt is made from Polyester/Elastane. 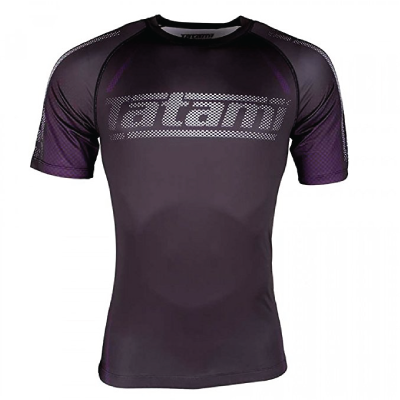 Next up, we’ve got to the TATAMI IBJFF Short Sleeve Rash Guard. TATAMI are a relatively well known brand that produce some of the highest quality gear for BJJ, Judo, MMA and Karte. Their short sleeve rash guard features a 4-panel design that provides a tight and compressed that prevents the top from riding up your body. As the name suggest, the rash guard is IBJJF compliant, and is available in 5 different colors to match your belt color. The rash guards design is printed using sublimation methods that prevents it from cracking or rubbing off onto your gi. To top it all off, this is one of the most affordable rash guards on our list and is 100% well worth the money. 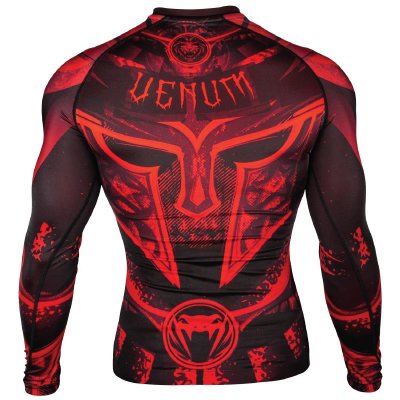 This wacky designed rash guard is Venums’ Gladiator 3.0 and is one of the coolest rash guards I’ve ever seen. The design itself is printed using sublimation so you can rest assured this awesome design is staying put. Venum have made use of their own compression technology that supposedly improves your blood circulation, which in turn is said to speed up your recovery time. If you tend to roll pretty hard, then this is a great option as it should help to prevent you from aching the next day. The Venum rash guard also implements dry technology that helps to regulate your body temperature for optimal performance and comfort. Reinforced stitching is also used along all of the seems, which provides durability and longevity for the rash guard. 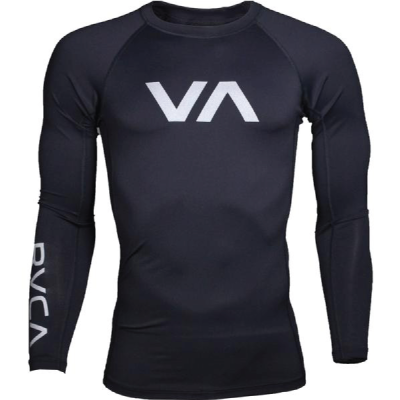 Next up on our list of the best BJJ rash guards is the VA reflect rash guard, which is RCVA’s latest addition to their highly line up. Made using 91% Nylon/ 9% Spandex, the VA Reflect holds tightly to your body, without being restricting and effecting your ability to move. 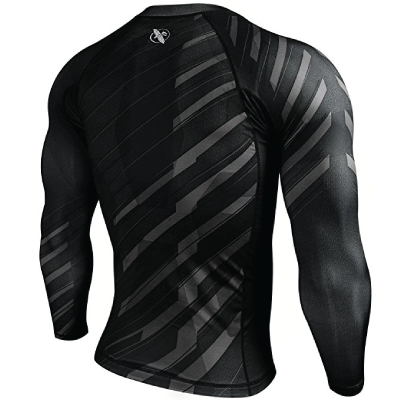 This mobility is also aided by the rash guard raglan design sleeves that allows for unhindered arm movement. One of the RCVA Reflects’ best features is its price. 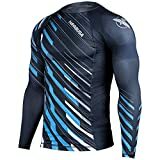 This is an extremely well built rash guard that offers fantastic value for money and won’t break the bank. Hypnotik are known for two things – their wacky designs and their exceptional quality. Their Standard Rash Guard may not have the type of design their known for, but it sure as hell as the quality. Unlike a lot of other rash guards, the Hypnotik features a rubber grip around the waistline that helps to prevent the rash guard from riding up your body. I’ve got a few rash guard that haven’t had this sort of feature, which I now find very annoying to wear as they just don’t perform as well as my Hypnotik rash guards. The Standard Rash Guard is IBJJF approved and is available in 5 different colours to reflect your current belt. As would expect from such as reputable company as Hypnotik, the rash guard is manufacturing using anti-microbial technology that prevents the growth of bacteria and fungi. One of the most important aspects to consider when looking for the best BJJ rash guard is the durability. Fortunately, Hypnotik manufacture their rash guards using super durable flat lock stitching that provides a strong seem and flexible fit. As I just mentioned, Hypnotik are known for their bold designs, and this has to be one of their cleverest yet. 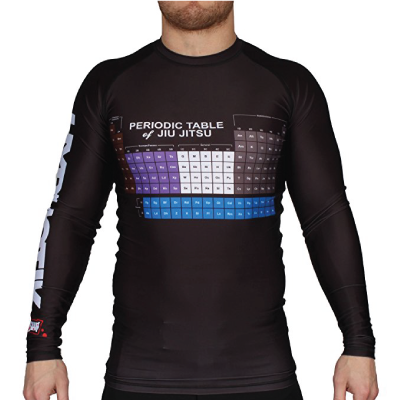 With an interesting Jiu Jitsu spin on the periodic table, this rash guard is sure to impress any BJJ enthusiast. The Hypnotik rash guard isn’t all just looks though, it’s one of the highest quality models on our list and truly is one of the best rash guards for BJJ. With moisture wicking properties, alongside antimicrobial materials, you can roll feeling comfortable and with piece of mind that you’re not picking up any unwanted bacteria. Similarly to the Hypnotik model we just discussed, the Periodic Table Rash Guard features flat lock stitching that provides the seems with an insane amount of durability, without restricting the wearers ability to move. This is actually one of the most reasonably prices rash guards on our list and is well worth the investment. 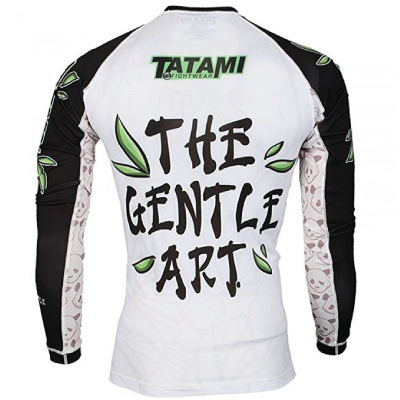 Moving from one awesome design to another, the TATAMI Panda Rash Guard will have you looking and feeling good on the mat. The bold artwork is fully sublimated which ensures the design never cracks or fades. The design itself features a calm panda, under attack from 3 monkeys, and was designed by Chris Burns, who is well known for his BJJ based illustrations. 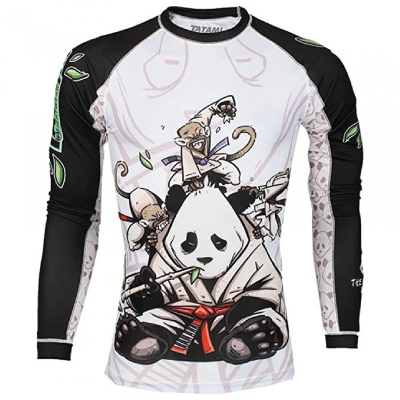 In terms of quality, the Panda Rash Guard lives up to the TATAMI name and is made up of 80% polyester and 20% spandex material. This finds the perfect balance between tightness and mobility and is one of the most comfortable rash guards on the market. 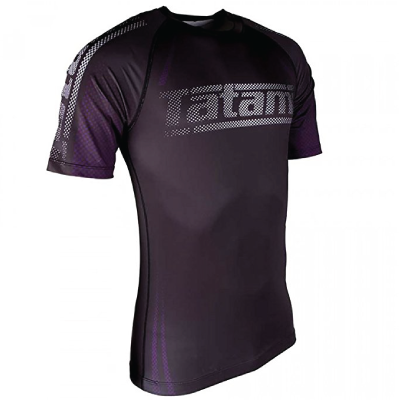 Unfortunately, the TATAMI model is fairly expensive, but for a well built rash guard and an awesome design, it’s a pretty worthy purchase. We’re starting to get through out list of the best Jiu Jitsu rash guards, well done if you’ve made it this far, just 2 more to go! This time we’re taking a look at another model from Hypnotik, this time their Lockdown Rash Guard. Featuring a fairly basic design for Hypnotik, the rash guard possesses all the high quality features we’ve come to expect from the brand. These include anti-microbial material, moisture wicking properties and re-enforced stitching, all of which contribute to one of the top BJJ rash guards on the market. 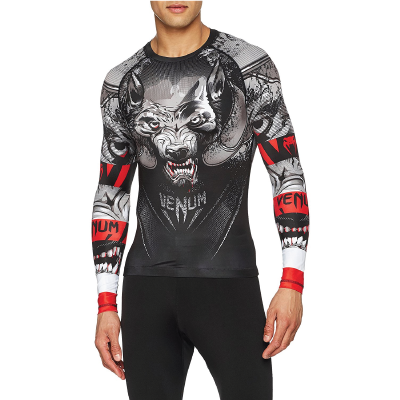 The Werewolf Rash Guard makes use of Venums’ compression technology that is said to aid blood circulation, which ultimately improves your recovery time. 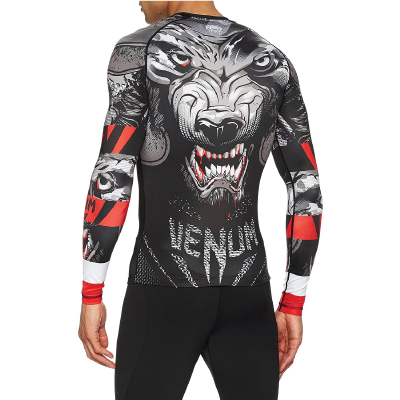 As with some of the other high quality rash guards on our list, the Venum Werewolf features an elasticated band around the waist that prevents the rash guard from riding up. This is an extremely handy feature and to be honest, I wish a few other brands would start implementing this into their rash guards. 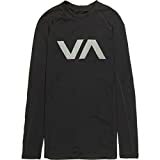 The Rash Guard also features Venums’ own dry technology that allows for sweat to easily pass through and off the material, which is both more comfortable and stops the top from smelling. Despite being a super cool rash guard, the Venum Werewolf does cost a fair chunk of change, which does let it down slightly. It can be a good idea to have both short and long sleeve BJJ rash guards. In the summer months, short sleeves would be more suitable, where as in the winter months long sleave would be better. Short sleeves also give your opponent less material to grip, and therefore gives you a slight advantage. Unforunately, infections such as staph and ring worms are pretty common amongst martial artisits. By having a rash guard that is anti-microbial, you'll have the best chance of being as hygienic as possible. Although it may be tempting to go for the cheapest option, it can actually end up costing you more in the long run. Cheaper rash guards will most likely be less durable and due to the nature of BJJ, the chances are they're going to rip or tear, meaning you'll end up having to buy another rash guard. 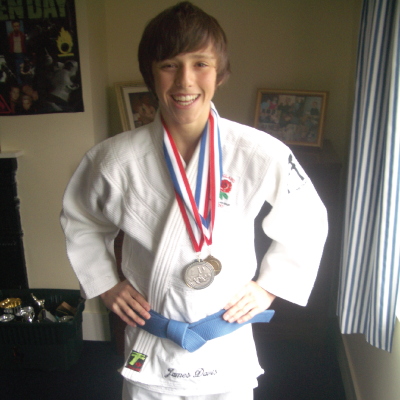 Tatami are a well known brand who produce some of the highest quality gear for BJJ, Judo, MMA and Karate. They are also behind some of the best BJJ rash guards on the market and tend to offer their products at affordable prices. Venum are a big name in the combat sports industry. 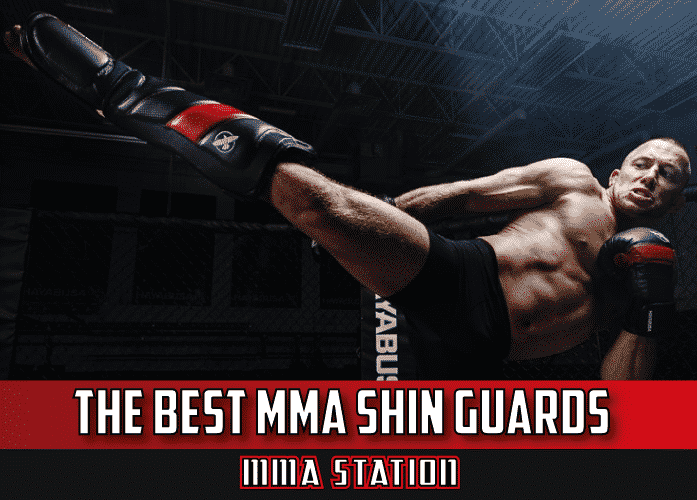 They produce a range of items from rash guards, to MMA gloves, all of which are the best of the best. Their rash guards tend to be the highest quality and sport some pretty out there designs. Hayabusa are another well known martial arts brand who have some of the best products on the market. Unfortunately, Hayabusa fight gear tends to come with a pretty hefty price tag, however their stuff is more than worth it. If you're looking for the best rash guard brand, definitely check out Hayabusa. 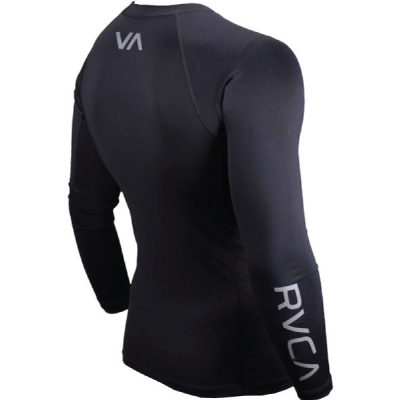 A rash guard is usually a tight fitting garment of clothing usually made out of polyester and lycra based material. What are Rash Guards for? As the name would suggest, they’re designed to protect the wearers skin. In terms of BJJ and MMA there are a number of benefits from wearing a rash guard. Firstly, they protect the wearers skin from rashes, friction burns, and from common infections such as ring worm and staph. Secondly compression gear is said to help muscles recover faster after an intense rolling session. Although this is a topic up for debate, it definitely doesn’t hurt to wear a rash guard. How Should A Rash Guard Fit? If a rash guard is making it hard to breathe, the chances are it’s too tight and you need to go for a size bigger. What Mate​rials Are Rash Guards Made Of? There are a number of different materials that rash guards tend to be made off. Typically, the main material will be Polyester, alongside another flexibly material such as Spandex or Elastane. 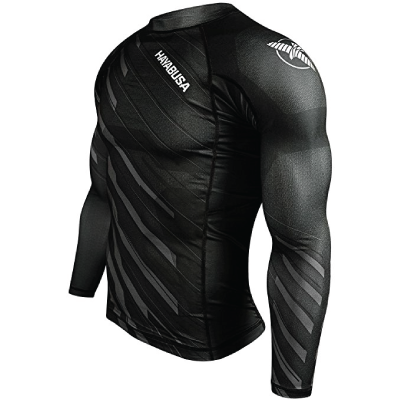 What’s the Difference Between a Rash Guard VS a Compression Shirt? While rash guards and compression shirts may look similar, they are in fact different. Rash guards are typically made to a more durable standard, with reinforced stitching that is design to with stand being pulled in different directions. 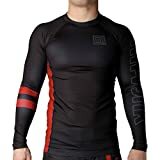 Essentially, rash guards are a sturdier, more durable version of compression shirts that are designed specifically for martial arts and combat sports. 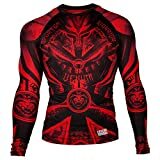 Where to Buy Cheap Rash Guards? 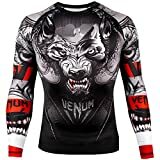 Amazon – Has a massive range of rash guards, some good, some not so good so make sure you read the reviews. 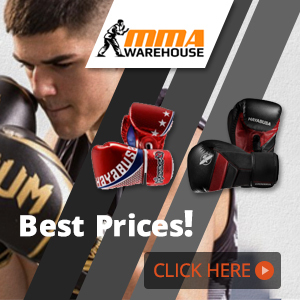 MMA Warehouse – They stock only the best martial arts equipment, however still take a look at the reviews and make sure you’re happy with it. 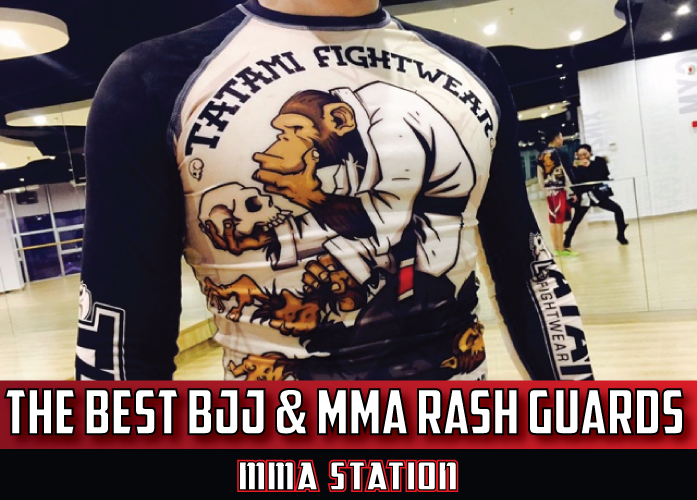 Thanks for taking the time to read our article on the best rash guards for BJJ & MMA. I hope that you've found it useful and if you've got any questions, feel free to drop them below. Nova Chrome – What is Dye Sublimation? 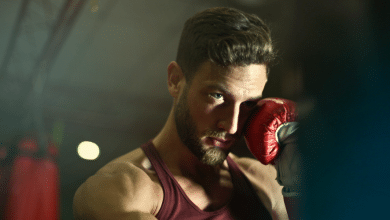 Product images courtesy of Amazon.com, featured image by Ali Express, adapted by MMA Station.